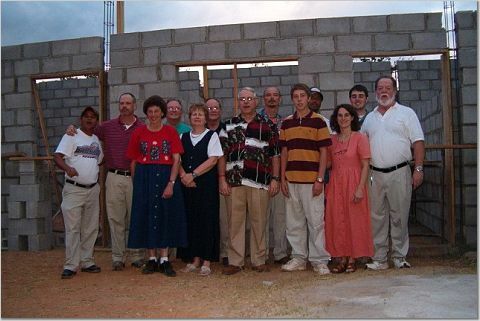 2005 was the first year that our church sent out a mission team to International missions. This team went to Catacamas, Olancho, Honduras to help build Sunday School rooms for Iglesia Bautista Canaan (Canaan Baptist Church). 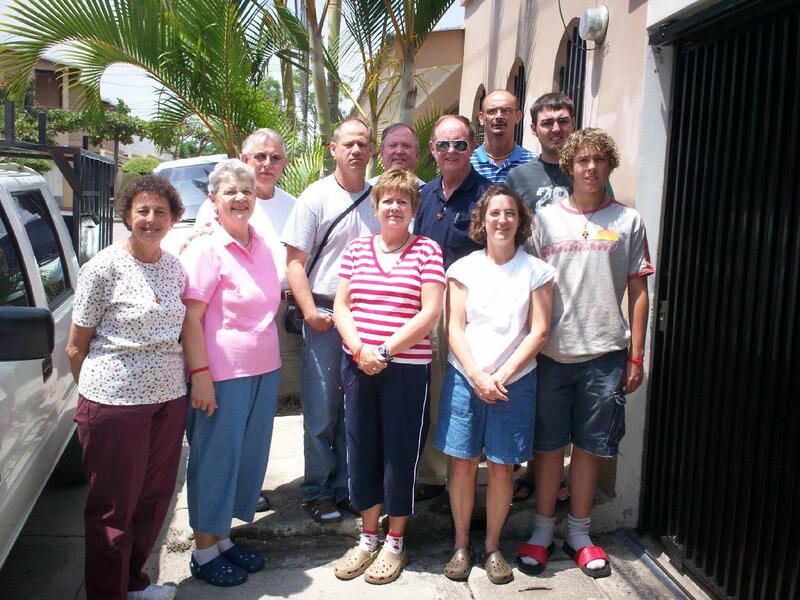 In 2006 the team went to La Criba, Valle, Honduras and helped in constructing Sunday School rooms for Iglesia Bautista Fuente Agua Viva (Living Water Baptist Church) near Choluteca. They also distributed toys, shoes, food and New Testaments in this very impoverished area. 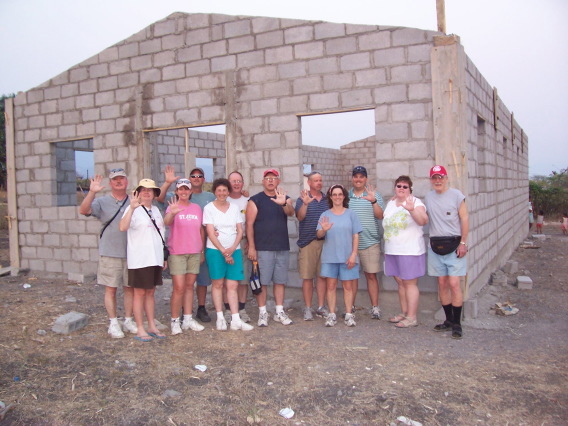 In 2007 we sent two teams to Choluteca to build a two-story classroom building at Iglesia Bautista Peniel (Peniel Baptist Church). Both teams also delivered food to families in a poor section of Choluteca and conducted prayer walks and delivered New Testaments in the San Pedro Sur barrio where the church was located. More pictures are on our Photo Albums page. In 2009 a team traveled to Los Chorritos, Yoro, Honduras to build a church building for this small village in the northern mountains. The team also delivered food to families in the village, handed out New Testaments during the Easter morning service, provided help in a medical clinic in the city of La Victoria where they stayed during the trip and also provided 250 hot meals to families scavaging the city dump in the capitol city of Tegucigalpa. Pastor Danny and Ms. Pat accompanied a second team from North Carolina who poured the floor and put in the windows and doors. More pictures are on our Photo Albums page. 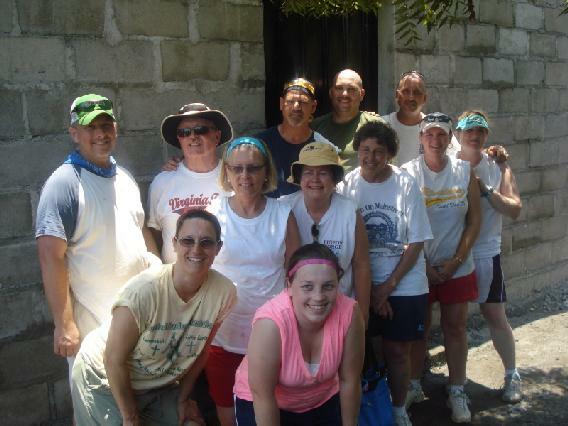 In 2013 the team also had members from other churches join with the members from FBC. On this trip the team built a house for a family in the small village of Cedeno in the southwest part of Honduras near the Pacific ocean. This family had been living in a temporary structure for the last eleven years. The team also conducted a Vacation Bible School for the children of the village and a prayer walk where each family visited was given a New Testament.The team also provided and packaged beans and rice for 92 families. More pictures are on our Photo Albums page.